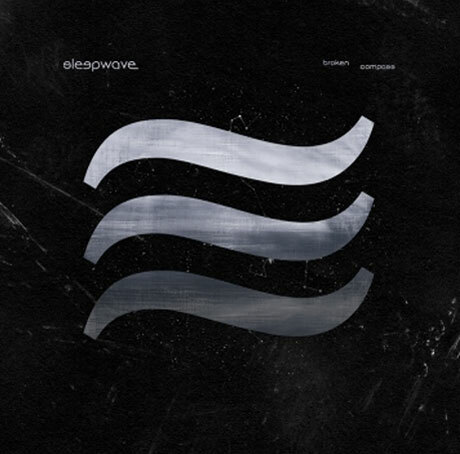 Sleepwave Detail Debut Album, Share "Through the Looking Glass"
A few weeks after announcing that they had signed to Epitaph Records, Underoath offshoot Sleepwave have given up the details behind their upcoming debut album. Titled Broken Compass, the 11-song introduction to vocalist Spencer Chamberlain's new group with Stephen Bowman arrives September 16. According to a press release, the album was recorded with producer David Bendeth (Paramore, Bring Me The Horizon, Of Mice and Men) and is described as "intense anthemic rock." Previously hinted at touchstones for the melodic project include Filter and Smashing Pumpkins. As you'll see in the tracklisting down below, Broken Compass features the previously premiered "Rock and Roll Is Dead and So Am I," as well as the newly let loose "Through the Looking Glass." You'll find the latter's '90s-flavoured, electro-spiked brand of hard rock showcased in a video down below. Sleepwave have also announced an extra batch of U.S. dates to their upcoming North American trek. You'll find the tour schedule, which includes a stop in Toronto, down beneath the album info.